Best Low Light HD Camcorders (2018-2019) – This is a roundup of camcorders that are best suited for low light conditions. Poor performance in low light is the number one complaint when using a camcorder. There are several factors that help in low light conditions. One is the size and type of imager (the chip(s) that light hits inside the camcorder). The other is the Lens. For imagers, larger is better. Sony and Canon for 2018-2019 has introduced a 1-inch imager, the largest imager on a consumer 4K camcorder. Fast bright lenses can help bring more light to the imager. Panasonic has designed a new lens just for that purpose. Below are the top low light HD camcorders for comparision , review and useful features such as external microphone jacks. Sony has introduced a breakthrough technology, Balanced Optical SteadyShot™, which will greatly reduce image shake in low light conditions. 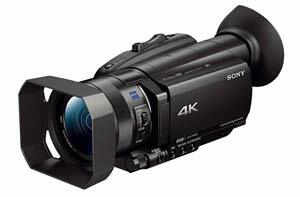 Available on the Sony Sony FDR-AX53 and Sony Sony FDR-AX33 4K Camcorders. 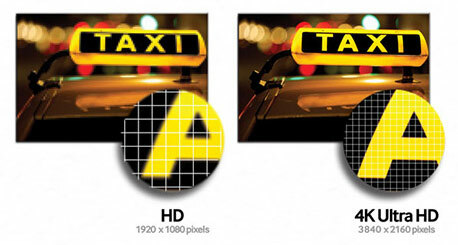 Low Light Lenses = Larger and faster lenses allow more light in for greater low light sensitivity. Lenses with low f stop specifications are considered fast lenses. The camcorders on this page all have fast low light lenses with an f stop of f1.8 or lower (lower is better). Infrared Night Vision = This feature will allow you to video in complete darkness, or minimum light. These are the same type of camcorders used for ghost hunters TV programs. Many of these camcorders also have infrared lights to illuminate in complete darkness. 1080p 720p 60i 24p 60p video = camcorders can record video at various resolutions. Many can record at several different rates. 1080p is the current highest (blu-ray quality). 720p has about half the resolution of 1080p. Also keep in mind the frame rate of the video. Normal video is shot at 30fps (frames per second). 1080@60i is 60 interlaced frames, which is roughly equivalent to 1080p@30fps. Movie film is shot at 24fps (24p). Some camcorders can shoot at 60fps (60p) which will make the movie silky smooth and can be used for slow motion as well. P2HD Flash = This refers a new flash media P2 Cards that are used on professional camcorders to record High Definition videos. 3D Ready = This means that this camcorder is capable of recording either normal HD video (2D) or can record in 3D with the use of an optional 3D Lens. Video can be played back on a 3D TV with 3D glasses. Balanced Optical SteadyShot™ = Sony introduced a new type of image stabilization that claims to be 13 times better at dampening camera shake than previous models. The sample footage looks extremely steady. This will allow you to zoom in on subjects without the typical bounce you see in videos, and can help in low light situations. It may replace a Steadycam for some situations. , and we feel it is a feature that will be much appreciated for handheld shots, especially in low light. Available on the Sony FDR-AX53 and the Sony FDR-AX33 4K Camcorders. Built-in WIFI = This feature allows your camcorder to send video over your WIFI network to the internet, transfer files, and on some models control the camcorder from a smart device such as a SmartPhone, tablet, or laptop.